The Bauhaus legend Ludwig Mies van der Rohe designed the Barcelona chair in 1929 for the German pavilion at the World Exhibition in Barcelona. 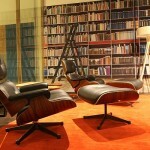 The Barcelona Chair is now considered a milestone in the history of modern design. Care Please maintain and clean the leather according to the included booklet. 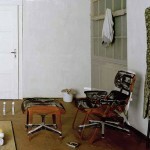 How do I recognise an original Barcelona chair? 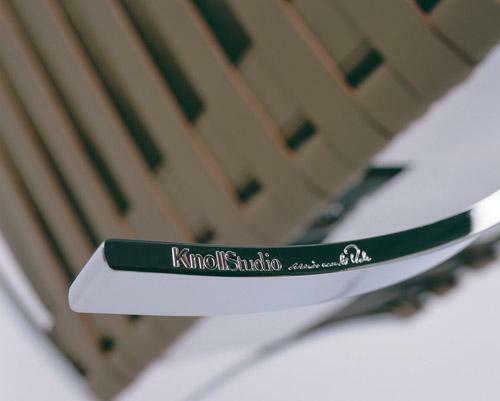 The Knoll logo and the signature of Ludwig Mies van der Rohe are engraved on the frame. It is no coincidence that the Barcelona Chair by Mies van der Rohe appears so noble and elegant: it was designed explicitly for the use of the Spanish royal couple on the occasion of the opening ceremony of the German Pavilion at the World Expo 1929 in Barcelona. 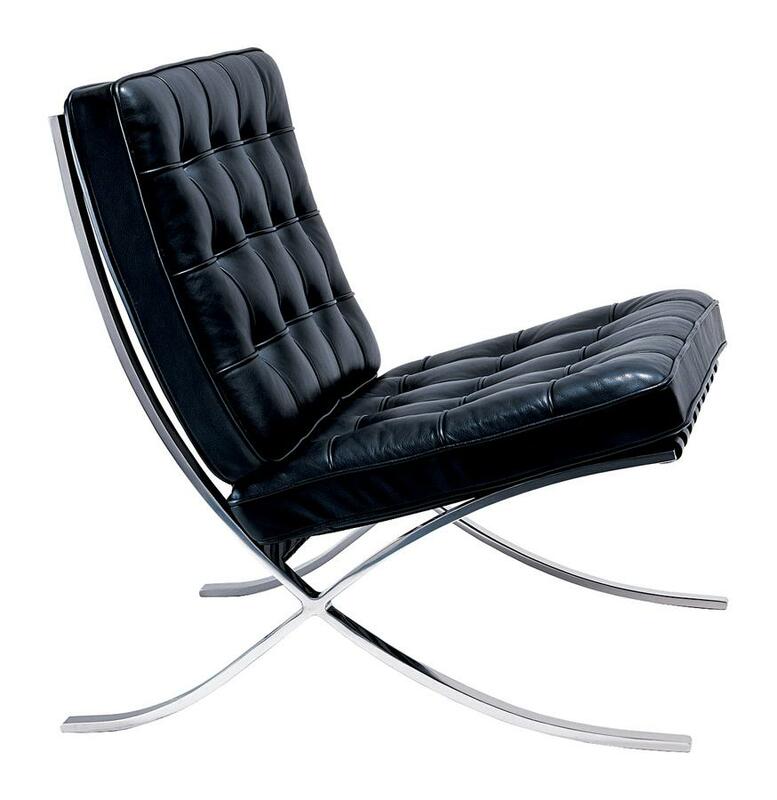 Ludwig Mies van der Rohe was looking for the occasion an elegant, costly and monumental chair. Featuring a base inspired by the classical form of the scissors chair, the Barcelona Chair can very much be considered as a modern throne. Characteristic of the work is the perfectly formed combination of wide seat and backrest with the x-shaped, subtly curved legs which give the Knoll Barcelona Chair its light, almost floating, character. In the design history of the twentieth century the Barcelona chair is considered both ground-breaking and iconographic, and more than sixty years after its initial production is still produced according to the original dimensions. 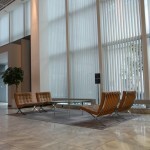 Complimenting the chair Knoll also produce and distribute the Barcelona Stool. The Barcelona chair Relax differs from the original Barcelona Chair only in the use of a multi-layer cushioning. 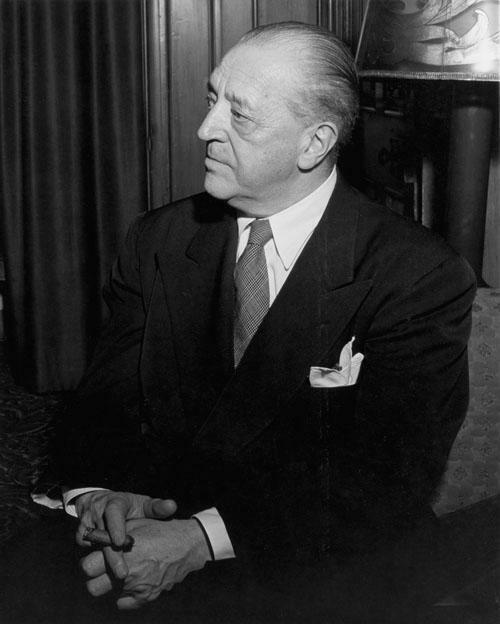 Ludwig Mies van der Rohe was born on 27th March 1886 in Aachen and is not only remembered by history as a designer of Knoll's Barcelona chair, but also as an architect. His first modern and energy-efficient buildings originated from 1923, and in 1927 Mies van der Rohe was responsible for the curation of the Weissenhof Estate in Stuttgart, unquestionably one of modernisms genuine flagship projects. For his own apartment house on the Weissenhof Estate Mies van der Rohe made his first use of a steel frame, a construction principle which allowed for the enlargement of the window areas and a more variable use of the residential space, a construction principle which was to be fundamental in his later buildings. In addition to being commissioned to design the German Pavilion for the 1929 World Exhibition in Barcelona, Mies van der Rohe was also requested to design the furniture for the pavilion. The pavilion proved to be a main attraction of the World Exhibition and is now considered one of the most significant works of modern architectural history: equally so with the Barcelona Chair. Although his career in Germany was interpreted by the outbreak of war, he was able to continue with his success in America following his emigration in 1938. The manufacturer of the Barcelona chair, Knoll International, is a globally active furniture producer with production facilities in Europe and the USA, and an international network of sales offices.. The history of the company begins in 1938 when the German emigree Hans Knoll founded the company in New York City just a year after his arrival in the United States. At the beginning of the 1950s production was then moved to Pennsylvania, largely because the area was traditionally regarded as the location for traditional crafts and had a good potential in terms of available manpower. 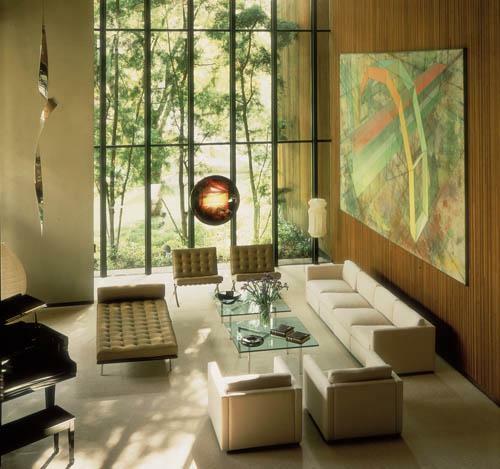 Today, the company headquarters and the largest production plant are still located in the area and alone the fact that some 40 Knoll designs are included in the MoMA New York permanent design collection indicate the importance of the company in the history of modern furniture design. Today, the company is divided into two divisions: KnollStudio and Knoll Office. 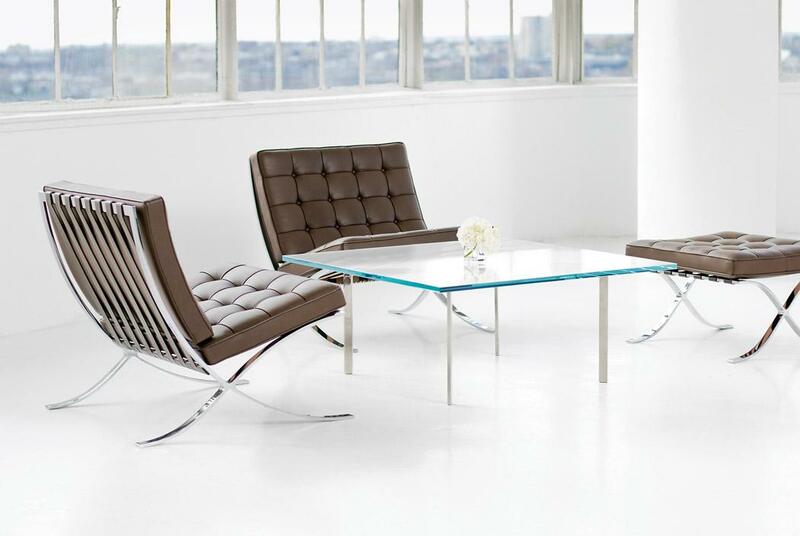 The KnollStudio portfolio encompasses design classics such as the original Barcelona Chair or Eero Saarinen's Tulip chair in addition to contemporary designs from the likes of Frank Gehry. Knoll Office offers innovative furnishing solutions for the office environment. 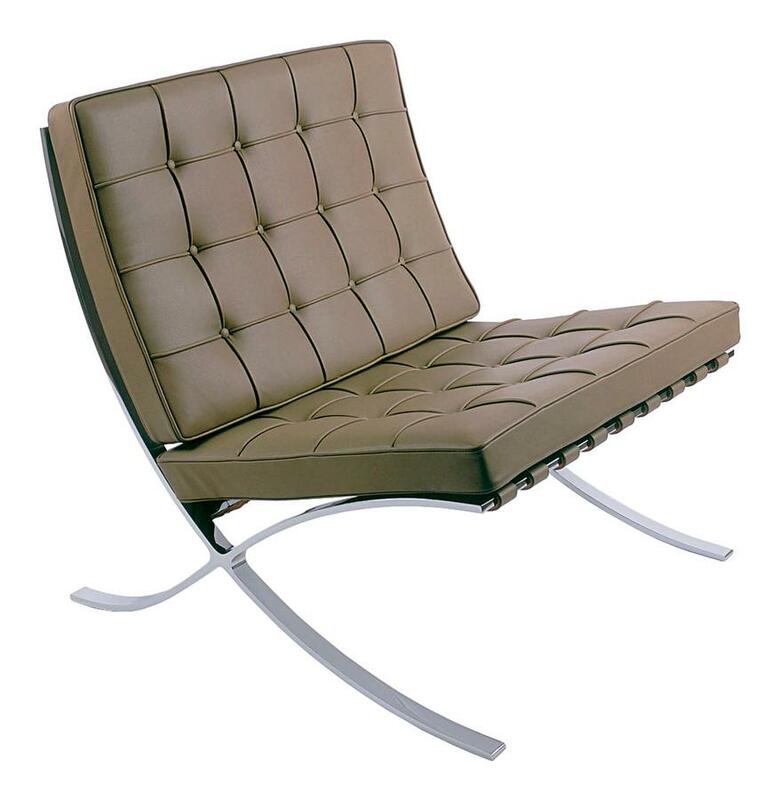 Since 1953 the exclusive manufacturing rights for Mies van der Rohe's Barcelona Chair have been held by US based manufacturer Knoll International. 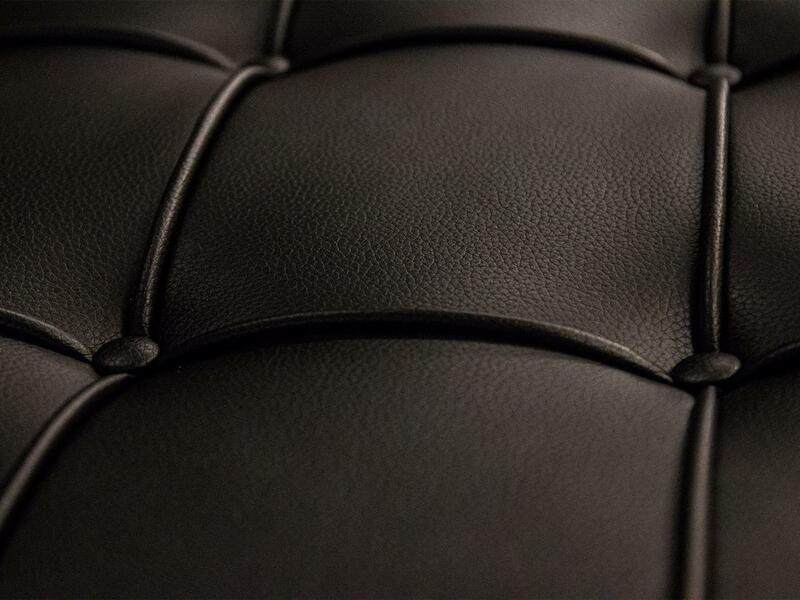 Formed from hand polished stainless steel the Barcelona chair features a leather upholstery crafted from 40 individual pieces of leather, sewn together by hand and then completed with piping and buttons. 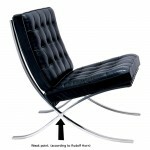 Knoll's Barcelona Chair is available in various leathers and colours and also comes in a smaller version for children. With the Barcelona Chair Relax Knoll has recently adapted the leather chair so beloved of waiting and lounge areas with a multi-layer padding version specifically intended for use in living areas. The high quality and durability of the Knoll Barcelona Chair and Barcelona Chair Relax are guaranteed by the over sixty years of experience in the production Knoll have acquired and the company's compliance with strict environmental and sustainability policies..
As one of the most important representatives of classical modernism Mies van der Rohe's ground-breaking ideas influenced generations of architects, as did and do his numerous furniture designs, designs he often developed, as in the case of Barcelona Chairs, in the context of an architectural project and which remain true to his "less is more" philosophy. 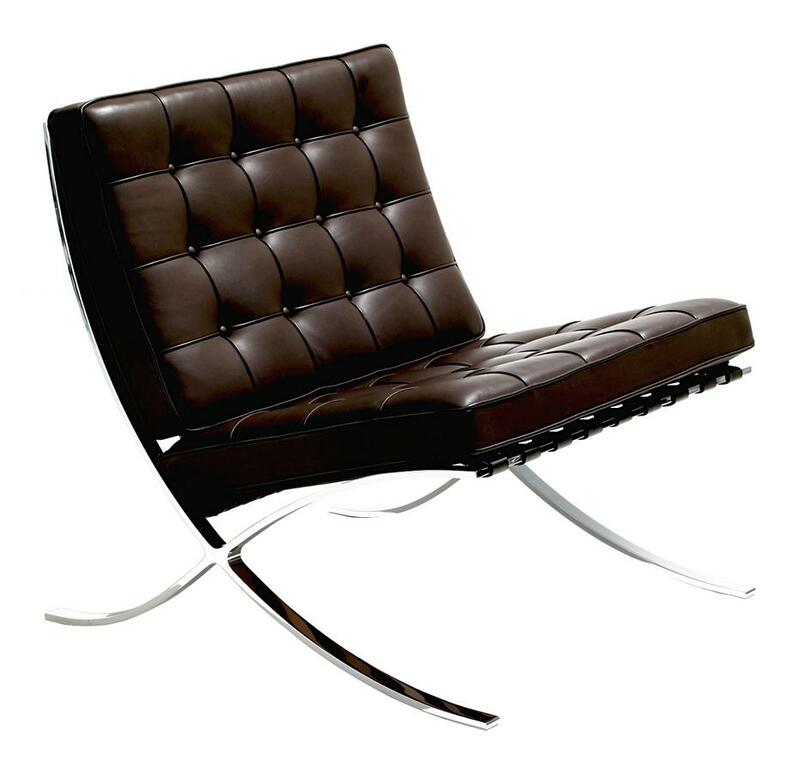 Mies van der Rohe's Barcelona chair speaks a thoroughly modern design language, and the same form language in which his open and strictly geometrical buildings can be understood and enjoyed. Today international modernism is particularly closely associated with the Weimar Bauhaus, an institution founded in 1919 by Walter Gropius and which went on to redefine both design education as well as design theory. And although Ludwig Mies van der Rohe served as Bauhaus Director from 1931 until the final closure of 1932 his designs are generally not classified as part of the movement. 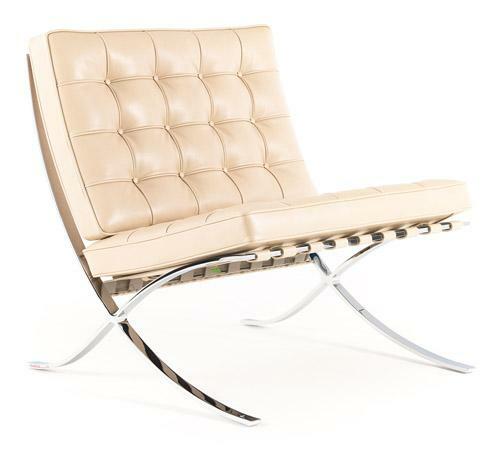 Knoll owns the exclusive production rights for the original Barcelona Chair. (smow) blog Design Calendar: May 19th 1929 – Barcelona International Exposition Opens. Barcelona Chair Premiered. "Everyone steals from everyone else. 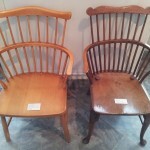 The seating industry lives from reciprocal robbery"